When you are looking for a reputable company for garage door repair in Austin TX, it can be difficult to know where to start. It’s important to do some research before scheduling the job, as your garage door plays an important role in safety and security of your home. When you take the time to ask the right questions, you can save money and get better service than if you simply chose the first company you find when searching online. In cases like these, it pays to do your homework. Some of the basic questions that you should always ask about a garage repair company are pretty basic, including how long they have been in business, what kind of garage doors they specialize in and how much experience their garage door repair team has. A reputable company won’t mind answering your questions, so don’t be afraid to ask. It can also help to ask around for referrals from others who have used the company or to look for online testimonials from previous customers. Many homeowners find that this can be an easy way to find quality repair services that you can depend on. The hardware that is used in garage door repairs is just as important as the garage door itself. Be sure to ask potential repair companies about the quality of the parts they use when making repairs, including the springs and the track. When you use good parts for repairs, they will stand up better to regular use. There are plenty of options out there when it comes to garage door repair, but the pros will tell you that it’s really in no one’s best interest to use inferior parts. A garage door repair team that cares about the quality of the parts it uses is a great sign, as it means that they care about providing a positive customer experience. Take the time now to find a garage door repair company that you can rely on, and you’ll be able to enjoy years of use for your garage door. 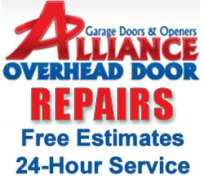 See what a difference a quality service provider can make for your garage door today. Your garage door isn’t just a barrier between your home and the outside world, but it’s also an important appliance in your home that needs to be maintained the right away in order to stay operational. Just as you shouldn’t ignore signs that your washer and dry or dishwasher needs to be repaired, you shouldn’t ignore the signs that you need overhead garage door repair in Austin. Below are some tips on what to look for when it comes to maintaining your garage door. One of the most obvious signs that it’s time to call a garage door repair company is that your door is making a lot of noise when it opens and closes. There is always a small amount of sound present when a garage door is running, but it’s shouldn’t include loud grinding or crunching sounds, as this could indicate that there are some mechanical issues going on. Before you have a broken door on your hands that has fallen off of it’s tracks and become damaged, you should get the pros in for a look, as it’s much cheaper to fix small issues with a garage door before they cause extensive damage to the wiring or track. Another not-so-obvious sign that you need to call for garage door repair is that your energy bills are creeping up more and more each month. If you’ve ruled out broken windows or leaks around the home, you should consider how weatherproof your garage door is. If there are cracked or missing areas in the weather stripping or if you have a door that is too small for it’s frame, then you are likely letting the heat out of your home without even realizing it, leading to higher than expected energy bills. Looking for small changes like this in your home can help to reduce your bills and maximize your energy costs each year, and it can also help to keep your garage door in tip-top shape. What Can Affect the Overall Cost of Repairing Austin Garage Doors? Your garage door plays several different roles for your home: it protects your belongings, helps provide insulation for the rest of your home and can add to the overall style and look of your home with minimal impact to the overall structure. There are some factors that can definitely impact the overall cost of repairing Austin garage doors, so read on for tips on how you can be prepared for how much it will cost. One of the most common things that can affect the cost of your repairs is what type of opener it uses. Today’s garage doors typically run off of an electronic door opener. The types of technology used and the complexity of the opener can greatly from brand to brand, and as a result, some garage door openers will cost more than others. If you are installing a brand new garage door, then you may need to take into account the cost of making the door fit into your new home. You may need to bring in painters to update the trim in your home, or there made need to be some added finishing touches included in your project. It’s important to consider these added costs when you are initially choosing which garage door to install, as it could definitely have an impact on the overall cost of repairs down the road. The type of garage door you are having repaired can also have an impact on the total cost of repairs. As a rule of thumb, older styles of doors, including those that tilt up versus roll up or down, can be tougher to fix. The parts can be hard to track down and as a result, you may need to place a special order. 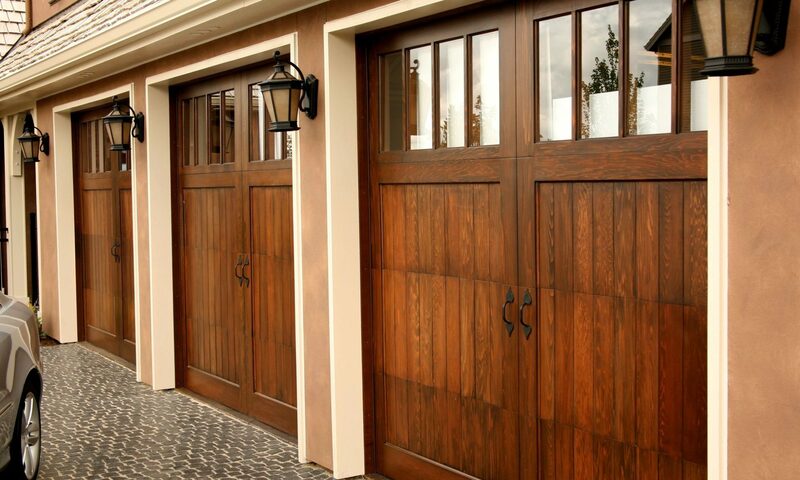 Custom garage doors and those that are made exclusively from solid wood can also be more expensive to have repaired. Keep in mind that it well worth the cost of maintaining your garage door, as many are designed to provide years of use provided they are properly cared for. Take care of your garage door the right way, and it will take care of you and your home for many years. How Long Should a Garage Door in Austin Last? Garage doors may not be the most pressing topic on your mind, however, as a homeowner, it’s a good idea to learn some information about the garage door in your home in order to ensure that you get the most life out of it. Many homeowners have the same question when they are garage door shopping: How long should my home’s garage door in Austin last? The truth is that there are no simple answers to that question, but there as some basic guidelines you can follow to determine approximately how long your garage door will last. One key factor to consider when estimating how long your garage door will last is what materials it is made of. Many homeowners opt for insulated garage doors, which tend to be more durable in terms of strength and which produce less noise than non-insulated garage doors. Non-insulated garage doors come in different thicknesses that determine the overall strength of the door. Since not all homeowners need insulated garage doors, choosing a high quality non-insulated garage door can be an economical yet durable choice. The type of hardware used to make the garage door run also comes into play when discussing how long a garage door should last, as having inexpensive rollers, springs and tracks on a good door won’t result in a long-lasting experience. Cheap pieces of garage door hardware start to crack, and over time, can lead to the door falling off of the track or to the door getting stuck. Finally, one of the most important things to consider when you want to make your garage door last for as long as possible is to carefully consider who is installing it. A garage door will only last for years if it’s made from high quality materials, and if it’s been installed correctly. Make sure that you are relying on experts who understand how to install garage doors, as working with the pros is the only way to ensure the best possible installation.